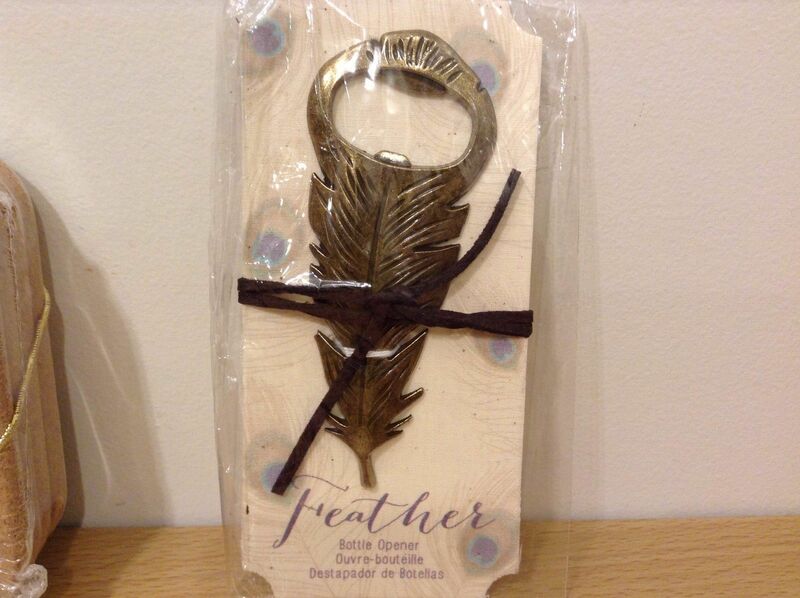 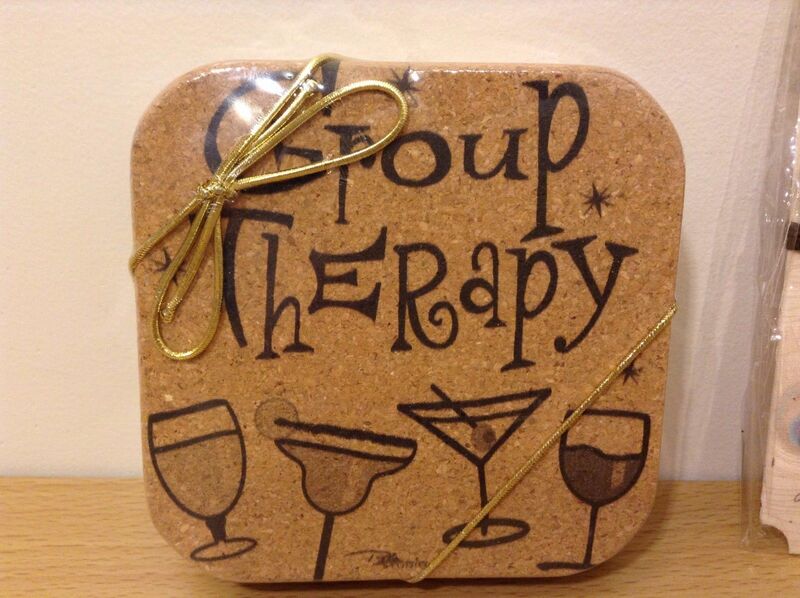 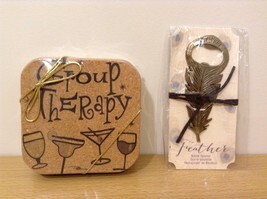 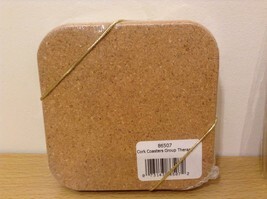 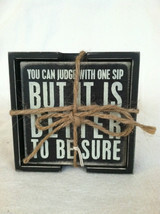 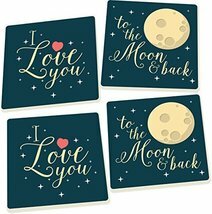 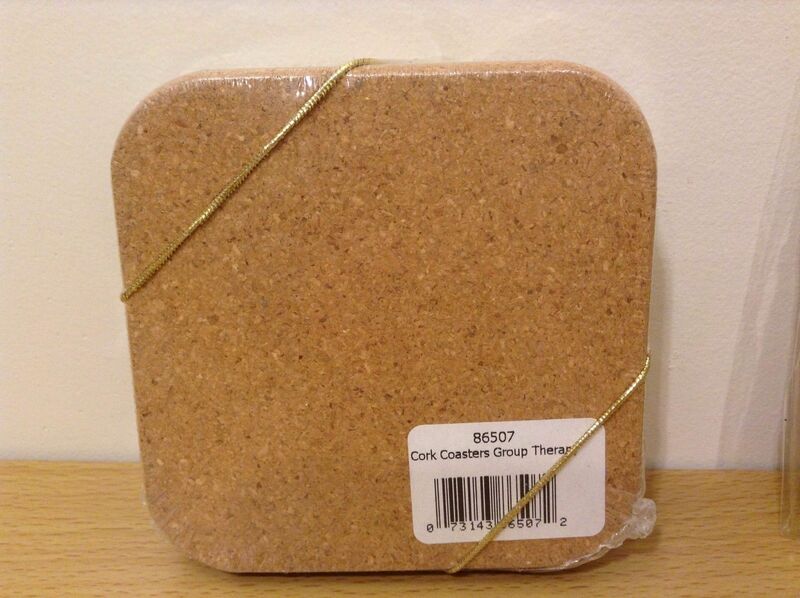 This is a lot that includes a set of 4 cork coasters that says group therapy and a feather bottle opener. 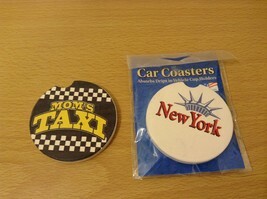 They are new items in original packaging. Bottle Opener: 3 7/8" x 1.5"